Brown Rice Vs White Rice: Which One Is Healthy? Home / Diet • Diet Recepies • Hair Care • health • Men Health • Skin Care • Weight Loss • Women Health / Brown Rice vs. White Rice: Which Is Better for Healthy Life? Rice is basically composed of two major substances: carbohydrates and proteins. It has a very less fat content. There are two varieties of rice which are dominant in the market- Brown rice and White rice. While both of them are intrinsically the same, there are many differences in the nutrient, energy and mineral content. Brown rice falls in the category of whole grains while white rice is considered as a refined grain. When the rice crop matures on the field, it is in the form of brown rice. With little post processing, brown retains the bran, germ and endosperm. While bran is fibrous, the germ is nutritious. The carb-rich rich part endosperm is common in both white and brown rice. White rice lacks major part of the nutrition due to heavy post-processing. It undergoes a milling process through which bran and germ are removed along with the husk. Such processing increases the shelf life of white rice. Another difference between brown and white rice is the artificial fortification. While brown rice needs no such fortification, white rice has to be supplemented with nutrients eternally. The refining of white rice also involves polishing to make them look better on the plate. A 1/3 cup of cooked brown rice leads in the energy content with approximately 20 calories more than its counterpart. Even in protein, carb and sodium content brown is ahead in numbers. The calcium and iron content of white rice is more than that of brown rice. Though both types of rice contain zero cholesterol and fat if cooked properly, brown rice is whole grains which can actually help in minimising the cholesterol levels in your body. On regular consumption, they can waive off the threats of heart diseases and diabetes too. This nutrient is essential for the proper functioning of so many enzymes in your body. It is responsible for bone health and heart health. Blood coagulation also involves the utilisation of magnesium. Pregnant women require more magnesium than the average need of a normal person as the nutrient supports multiplication of cells and strengthening of bones. With a bountiful amount of magnesium, brown rice benefits are worth consideration. Though brown rice has an unbeatable advantage of being less processed, the debate of brown vs white rice doesn’t get that simple. White rice is enriched with folate during processing steps. This nutrient is responsible for DNA synthesis. The presence of folate eases cell division. Hence, just like magnesium, folate is also inevitable for expecting mothers. Most adults require a 400 mcg of this nutrient. Each essential nutrient has a part to play and sodium’s role happens to be an important one. It helps keep the electrolyte balance, controls the amount of water in your body and controls the working of nerves and muscles. In terms of sodium’s nutrient content, the figures of brown rice nutrition are much stronger than white rice. Looking at the facts about brown rice nutrition unveils the facility of supplementing your body with selenium too. Selenium is a nutrient whose presence is critical for preventing the impairment of thyroid hormone metabolism. Along with this, Selenium may also provide improved immune system functionalities, antioxidant production and protection against cancer cells. This mineral is essential for the functionalities associated with antioxidants. It is also important for the formation of energy. Both white and brown rice contain manganese but the portion of manganese in white rice is half that of available in the latter. A single cup of cooked brown rice can fulfil nearly 88% of your daily manganese requirements. Consuming adequate manganese assists in fat digestion. Brown rice is better than white rice in terms of its fibre content as white rice is devoid of the bran. Fibres are extremely important for controlling blood sugar levels. They bring down the cholesterol levels and aids weight loss. For those who constantly suffer from constipation, checking the fibre intake is probably the first thing to be cleared off the list. 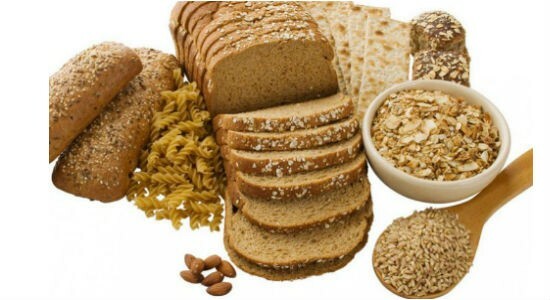 Your daily requirements for fibre depend upon your age and body structure. A caloric intake check is also worth reviewing while managing the fibres. Comparing brown vs white rice by vitamin content will surely put brown rice onto the benefited side. They are rich in thiamine (B1), riboflavin(B2), niacin (B3), folate (B6), vitamin E and vitamin K. All types of vitamin B are responsible for the fat to fuel conversion in the body. Vitamin B1 maintains a proper functioning of immune and cardiovascular systems. Highlights of brown rice nutrition include a good amount of riboflavin. This vitamin is responsible for providing protection against auto-immune disorders and cancer. Owing to the water solubility of this vitamin, daily doses of are required. Another type of vitamin B includes niacin which is a strongly prescribed supplement for heart patients. It lowers the bad cholesterol levels and triglycerides. Brown rice benefits the skin by providing vitamin E. This vitamin is responsible for the removal of free radicals and delays ageing. Another vitamin that can be found in brown rice is vitamin K, which is the key element needed for clotting of blood. Additionally, it also keeps your bones stronger. Zinc is an essential mineral, whose deficiency can result in hair loss, infertility, weight gain and many other health issues. Brown is a rich source of zinc. Regular consumption of brown rice can help you prevent zinc deficiency. It is especially important for vegetarians to include brown rice in their meals at least 3-4 times a week to meet their zinc requirements. Though the phytic acid present in brown rice can hamper the absorption of zinc, you can always make up for it by consuming proteins with rice. Proteins ease the assimilation of zinc in your body. The presence of iron in your diet is required for the production of red blood cells in the body. Deficiency of iron can lead to anaemia. Most of the white rice benefits in terms of minerals are drained during the refinement process. Owing to aslight refinement, brown rice contains an appreciable amount of iron in comparison to white rice. A combination of calcium and phosphorous is imperative for stronger bones. Phosphorus is also required for maintaining a good dental health. Brown rice contains almost double the amount of phosphorus than white rice. Most of the minerals found in white rice are artificially fortified. White rice benefits lag far behind that of brown. The starch content and high glycemic index of white rice make it lose points in the brown rice vs. white rice debate. Even after all these factors, you cannot replace white rice completely by brown without giving some serious thoughts into it. For dialysis patients. Renal dietitians recommend avoiding brown rice for keeping the phosphorus and potassium content in check. Which Rice is Preferable? Brown or White? If you don’t have a serious medical history or undertaking any treatments, opting for brown rice is a better option for preventing cardiovascular diseases. In case, you have been suffering from a long-term illness or experience symptoms of allergies, you should consult an experienced medical adviser.